Tough one this Katrina, and one that really comes down to the situation - there almost certainly isn't one solution to this. The way I see it, with my "ideal world goggles" on, is that it's not a purely testing problem. In an ideal world, it would be the managers et al who demand such speedy, bite size knowledge who would learn to adapt. Would learn to engage more with the information provided. 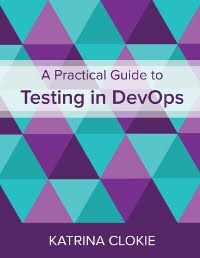 As you mention, the role of testing is as information provider, and part of the reason for that (rather than being a quality assurer for example, is that 'someone else' is in a better position than the tester to interpret the information garnered and make an informed decision. Usually, this 'someone else' would be the managers et al you're speaking of because they have the view of a product/project as a whole from the business' perspective. As such, a refusal to reduce down the information hard won through testing into a summarised (and thus, less informative) view would actually force them to make better, more informed decisions. Returning to reality though, I realise as well as you do that this won't happen anytime soon. However, I still think the way we report ought to be to attempt to nudge and nurdle our managerial friends towards the aforementioned ideal. To do this, the visual test coverage models mentioned in your article are an excellent starting point because it presents the "findings" alongside the model that led to them. However, if done right, these visual models can still present a summary or statistical view - if that's what they REALLY want. Instead of spoon-feeding them meaningless numbers though, you could present this and have the manager count their own numbers. How many sessions (represented on the model) are green/red? How many branches are ticked/crossed? Already they're engaging more. If your managers can't or won't count themselves, you could still provide the figures they so crave presented alongside the same visual model. They may not look at it - but they just might. And if they do, they might find that information useful. So when it comes to reporting - I think its about finding ways to provide the information THEY want, in the formant YOU think is best. If you can give them both, you may eventually arrive at a promised land of not having to provide the out-of-context numbers. I remember you talking about delivering meaningful info when you were up in Auckland a few months ago. Vanity metrics really are a waste of time. c) Give statistics on how many users XXXX and YYY impact and say if you want more details - let us know and we can break it down for you. To be honest, I've always been a fan of saying things in a short and sweet way - there's a bit of a risk losing people otherwise.